Discussion in 'Law & Justice' started by kazenatsu, Dec 3, 2017. What happens when the government isn't able to provide adequate police protection, or when the protection they do provide is rife with corruption? Then the private sector takes over. For-profit businesses that provide armed security. We're talking everywhere, to drive children on a bus safely to school or to guard a truck full of Coca-Cola. The crime in many parts of Mexico is that bad. This is a really good article, I suggest you read it. Thu December 21, 2017 - The bodies of six men were found Wednesday hanging from bridges in the Mexican state of Baja California Sur, the state's attorney general's office said. Four bodies were found in the municipality of Los Cabos, the other two near the state capital of La Paz. The bodies were found suspended from three bridges located near the two main international airports and the highways leading to the popular beach resort of Cabo San Lucas. Authorities have not released the identities of the deceased nor said who they believe to be responsible for the deaths. Baja California Sur Gov. Carlos Mendoza Davis wrote on Twitter that he "condemns the acts and any expression of violence." The six cases are being investigated as homicides, the attorney general's office said. Violence in the Baja California Sur region has increased in the past three years, due to an ongoing territorial dispute between the Sinaloa and Jalisco New Generation drug cartels. Mexico's notoriously ruthless drug gangs have regularly hanged victims from bridges and highway overpasses in places like Mexico City, but it is unusual for bodies to be seen near tourist areas. In August, the US State Department issued an updated travel warning, cautioning tourists that the state experienced an "increase in homicide rates" compared to the same period in 2016 "While most of these homicides appeared to be targeted, criminal organization assassinations, turf battles between criminal groups have resulted in violent crime in areas frequented by US citizens," the State Department says. Rodrigo Esponda, managing director of the Los Cabos Tourism Board, told HLN that the region is a "safe and secure destination, as it always has been." The area, which sees 2 million international visitors per year, will get 200 new police officers early next year. Los Cabos is also making progress on expanding its surveillance system, Esponda told HLN, adding new cameras and wiring existing hotel security cameras into a centralized crime reporting system. A military base is being built, too, he said. Cartels are with islam, corporates and north korea the worst ennemies of mankind. January 11, 2018 - The highest-level alert cites deadly violence and widespread crime. The frequency of attacks has "limited the U.S. government's ability to provide emergency services to citizens." The U.S. State Department is warning Americans not to travel to five Mexican states, issuing a "do not travel" advisory. "Violent crime, such as homicide, kidnapping, carjacking, and robbery, is widespread," the State Department said in the notice Thursday. 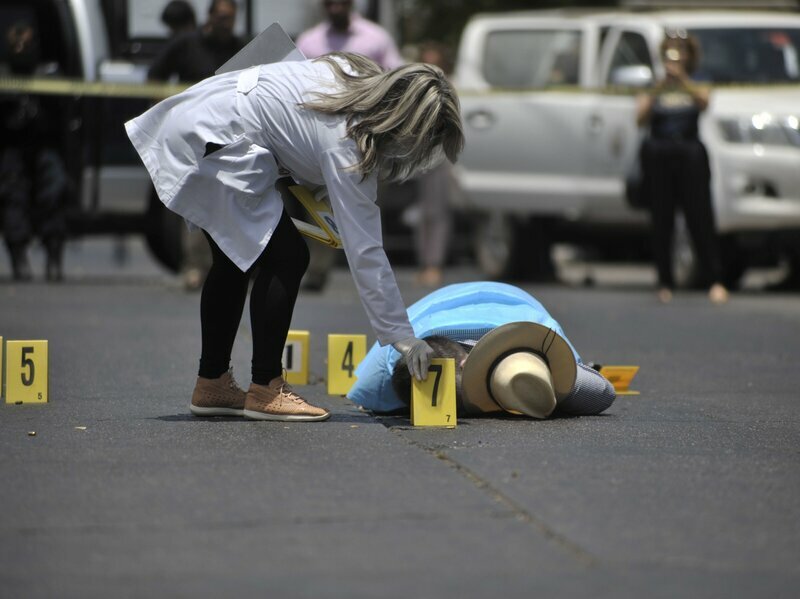 As a result, the department says the frequency of the attacks by criminal organizations in the states of Sinaloa, Colima, Michoacan, Guerrero and Tamaulipas has "limited the U.S. government's ability to provide emergency services to citizens in the states." And, in many cases, not even Mexican officials can do much to protect or prevent the widespread scourge of lawlessness against American travelers. 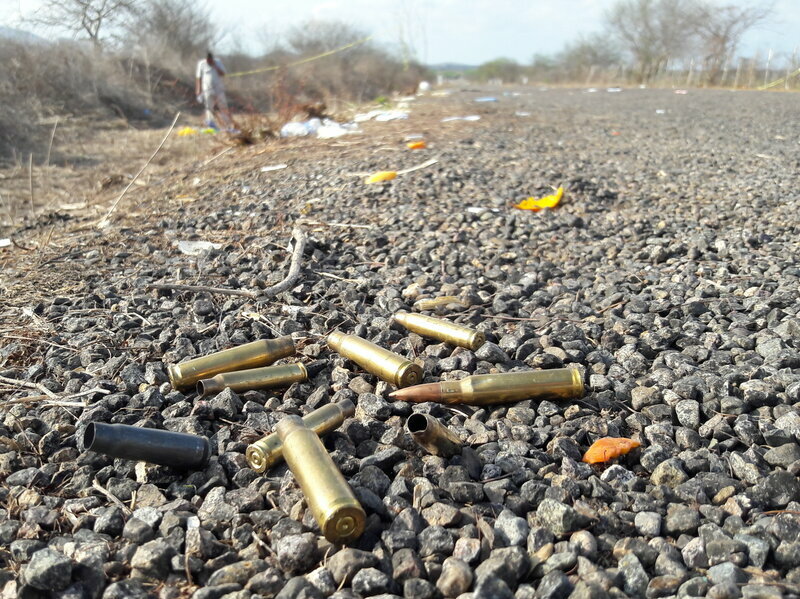 Armed groups frequently maintain roadblocks in many areas of Guerrero. A number of Mexico's most violent criminal organizations are based in and operate out of Sinaloa. The streets of Tamualipas are often the scene of gang-led gun battles, while armed criminal groups target public and private passenger buses, often taking passengers hostage and demanding ransom payments. But not all parts of Mexico are covered under the warning. Sixteen of the country's 32 states received a level-two "exercise caution" warning, the department's second-lowest advisory. Citizens were told to "reconsider travel" to another 11 states. Mexico reached record levels of deadly violence in 2017, making it the bloodiest year in the country's modern history, notes The Guardian. The first 11 months of the year brought 23,101 murder investigations, surpassing the 22,409 registered in the whole of 2011, when the country was in the depths of rampant inter-cartel warfare, says Business Insider. And as NPR's Carrie Kahn reports, outside of global conflict zones, Mexico takes the No. 1 spot for journalists murdered in 2017. The Paris-based Reporters Without Borders says Mexico is the "Western Hemisphere's deadliest country for the media." January 25, 2018 - More than a decade after Mexican soldiers deployed in the streets and mountains to fight a U.S.-backed drug war, Mexico has something to show for it: more killings than ever. Mexico recorded 29,168 homicides last year, according to preliminary government data published this week. While the tally won't be finalized for several months, security experts are already certain the 2017 figure will mark the country's highest murder rate at least since official statistics began in 1997 — and potentially the highest in the nation's modern history. "It comes back to a failed security strategy that has been completely exhausted," says Francisco Rivas, director of the Mexican research group the National Citizens' Observatory. The Mexican government has so far not commented on the statistics. High as they may be, however, the new figures don't square with President Trump's tweet on Jan. 18 about the extreme state of violence in Mexico. There is no metric by which Mexico could be considered the "most dangerous country in the world." Figuring out the deadliest place on the planet is tricky: Some countries don't release comprehensive numbers, citizens don't always report killings, and police don't always investigate them. Ongoing wars in countries like Syria add a host of other complications. Outside of war zones, El Salvador recorded the highest homicide rate of any country — 109 per 100,000 inhabitants — in 2015, the last year for which the United Nations provides global data. The U.N. still lacks totals for certain countries in that data set. That year, Mexico registered 16 homicides per 100,000 people, behind other Latin American countries like Honduras, Venezuela and Brazil. With the new statistics from 2017, analysts estimate Mexico's rate climbed to roughly 24 per 100,000 inhabitants. Another metric could be the Global Peace Index, a study by the Institute for Economics and Peace, a Sydney-based think tank that grades countries on additional factors like access to firearms, victims of internal conflicts and citizen perception. Of 163 countries studied, 21 were considered less peaceful than Mexico in 2017. Still, the country's levels of violence have sparked serious concern in Mexico and abroad.